Call us on 07946418174 to Book Your Driving Lessons North London With Drive Times ! Are You Looking For The Most Professional Driving Lessons North London Can Provide? Then Welcome To Drive Times! As professional and engaging driving instructors in London, we make it easy for you to begin your learning process as a driver. Whether you already have experience and would like to freshen up, or you are looking to start from scratch, we can offer the assistance and aid that you need to make that possible. By providing you with assistance in becoming the best driver that you can in both theoretical and practical environments, you’ll be driving in no time. We pride ourselves on offering a service that is tailored to the needs and wants of each and every one of our customers. By listening to your needs and requirements, we can set up a range of solutions that can help you benefit from a committed and safety-first school of driving. We don’t take risks, instead slowly but surely honing your expertise to make sure every trip on the roads is a success. Drive Times Makes Driving Simple! Automatic and Manual Driving Training. Pass Plus Coursework and Coaching. We also cater to students who feel nervous or unsure about what they are doing. By removing the uncertainty from your coaching, we make sure you can enjoy your lessons. So, for help in finding the best Driving Lessons North London can provide, call us Today: we’ll arrange the perfect solution! At the moment, Drive Times looks to cover most of the North London, West London and Central London post codes. Feltham TW14, Bedfont, Ashford, Hounslow, Sunbury, Staines, Laleham, Sheperton, Stanwell, Brentford and Watford. City of London, Westminster, Oxford Street, Warren Street, Covent Gardens, Holborn and many more..
We also cover most part of West London Chiswick W4, Ealing, Hammersmith, Richmond, Twickenham, Kingston. Experienced instructors who help you learn the best driving habits to make improvement possible. All of our Driving Instructors are fully certified and approved by the DVSA registered. Very High Pass Rate ! All the driving help that you need, from mastering roundabouts to becoming less angst – ridden on the road. Cost-effective offers that can cover your own needs, times and flexibilities. A happy, positive atmosphere that ensures you can be at your best and never feel pressured. Add all of this together, and you can see why we are the finest driving lessons London can offer you. Contact Us Today on 07946418174 and We Can Arrange a Consultation. Otherwise, contact us through our official contact page, and we’ll be in touch about how to best proceed! 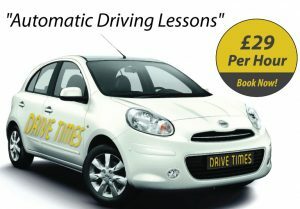 Driving Lessons North London. Best National Driving School London Copyright © 2019.